SACO—A new ministry based at Good Shepherd Parish in Saco aims to provide families with young children, couples who are nearly married, and couples who are engaged with opportunities to build a warm community of friendship and faith. The Young Families Fellowship (YFF) will kick off on Thursday, Sept. 27, from 6-8 p.m. at Most Holy Trinity Church, 271 Main Street. The gatherings will be held each Thursday night and all in attendance will join together for an opening prayer. Then, the women will break off for a time of focused discussion and fellowship while the men play with their children. Later, the men will have a discussion while the women play with their children. The evening will conclude with a closing prayer. The Thursday night gatherings are just the tip of the YFF iceberg as a variety of other activities and events are planned for the coming months. The schedule includes family outings to the Apple Festival in Alfred (Sept. 22) and Pumpkin Valley Farm in Dayton (Oct. 20), a “Holyween” All Saints Celebration (Oct. 31), and couples’ nights out. The ministry is launching during the Diocese of Portland’s “Joy of the Family” initiative, which helps protect, promote, and strengthen marriage and families in our world. 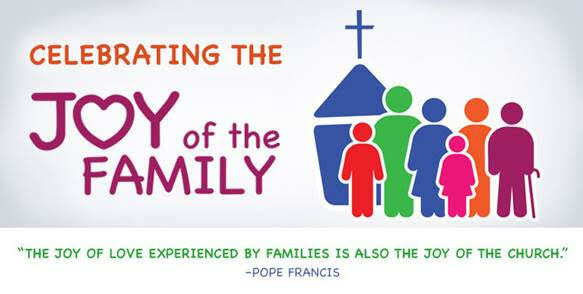 A special “Joy of the Family” section has been created on the Diocese of Portland’s website. The section includes a wide range of resources and will be continually updated. To access the section, visit www.portlanddiocese.org/joy-of-family. For more information about YFF, contact Josh Houde of Good Shepherd Parish in Saco at joshua.houde@portlanddiocese.org.